Your crown will be designed and fabricated using the latest in computer technology. No longer do we have to settle for all metal crowns, or crowns that are grey at the gumline. Today’s dental crowns are metal free, have a precise fit, are natural looking and are the strongest crowns ever made. Implants are often the best way to replace a missing tooth. 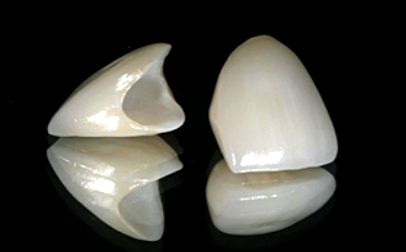 The implant itself is a titanium artificial tooth root on upon which a crown is placed. Replacing missing teeth with implants will allow you to chew and smile confidently. We are proud to team up with specialist in the area to offer this service to our patients. The dental implant is surgically inserted under local anesthetic. Once healed, the artificial root (implant) acts as a base for the visible portion of the tooth (restoration). If you are looking for an implant dentist, you’ve come to the right place. Dr. Matthews and his dedicated staff treat your family like their family, and are the team you can trust in eastern North Carolina for your dental implants. Call today to schedule an appointment! Dentures and partial dentures are solutions for replacing missing teeth. We utilize state of the art materials to make your dentures and partials beautiful and strong. That way we can keep you smiling for years to come! Do you have a toothache or other emergency need? We pride ourselves at being able to see you right away or same day. If you have an emergency after hours, Dr. Matthews is a member of the Lenoir County Dental Call Service, so a dentist is always available to help you. Don’t procrastinate, call for an appointment today. When a tooth is damaged beyond repair it must be removed. Dr. Matthews can do this comfortably for you in our office. Your gums and supporting jaw bone are the foundation upon which your teeth rest. Unhealthy gums can not only cause bad breath and tooth loss but can also be linked to problems with your overall health. A non-surgical approach is possible! We utilize time proven non-surgical techniques to bring your gums back to optimum health. Healthy gums are essential to the overall health of your mouth and body! We love to see children have happy healthy smiles at our office. Our focus for our pediatric patients is not only for them to have healthy teeth and gums but also to lay a foundation for positive oral health the rest of their lives. This includes having healthy emotional behavior towards the dentist. We pride ourselves in being gentle and kind to our littlest patients. Parents call for an appointment today! A root canal procedure is indicated when a cavity has reached the nerve of the tooth. We utilize state of the art root canal techniques that allow us to complete the procedure oftentimes in one visit. Everyone needs their teeth cleaned professionally at least twice a year. Some people need more frequent cleanings or deep cleanings to improve the health of their gums. Routine exams are essential to discover small problems before they become bigger problems. Cavities, Gum disease, oral cancer, and other dental problems are easier and cheaper to treat in the early stages. A proper exam will include looking at both the teeth and gums as well as an oral cancer screening exam. Be free of that annoying CPAP machine! A sleep apnea appliance can replace CPAP therapy for some patients. Many patients cannot tolerate a bulky CPAP mask and simply don’t wear it. This makes their sleep problems and health worse! A sleep apnea appliance is a mouthguard that can help you breathe and sleep properly at night. Ask Dr. Matthews if this service is right for you. Do you grind your teeth at night or suffer from headaches or migraines? Often times by making a simple bite guard we can make these symptoms go away. Excessive tooth wear is harmful to your teeth and supporting structures. Ask Dr Matthews about a simple solution to this common problem. The time for Whiter Teeth is Now! Brightening your smile can give you confidence and make you look younger! We offer the Kor Whitening - Deep Bleaching™ System to achieve consistent, beautiful results. Get a brighter smile today!